The fantastic Frank McGrath CUTs to the chase! It's the turn of one my 'new discoveries' to feature on the blog. Last time I wrote about an 'old favourite', Modesty Blaise. This time I have a really exciting new writer for you. 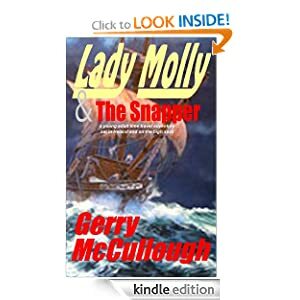 More than three years ago I came across a great writer on the Harper Collins slush pile site, Authonomy – Frank McGrath from Dublin. 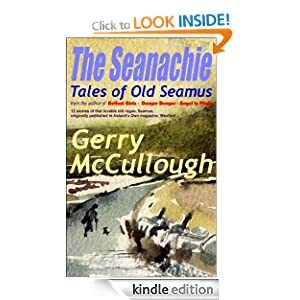 His book was at that time called Artistic Licence (a very clever name, I thought – cleverness in a title always appeals to me) and I was hugely impressed by it. I particularly liked his cop character, Jack Grogan. Just my sort of flawed, independent hero. I became a 'virtual' friend of Frank, but alas he disappeared from Authonomy when (no surprise) his book was picked up by an established agent, and he was told to pull it and make a ton of suggested edits. It seemed like a great step forward for him. But I was annoyed at the suggested edits, particularly the criticisms of the lead character – I thought the book was great as it was. 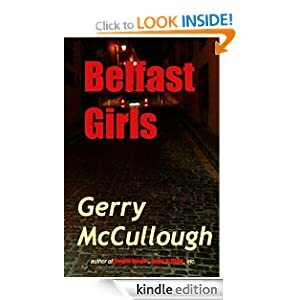 And as several years went on, and I reached the top 5 on Authonomy; was offered a publishing deal for Belfast Girls by Night Publishing; and went on to sell well over 20,000 of that particular book (and still counting), I seriously wondered if Frank was doing the right thing. In late July this year his book was finally published, and I humbly take it all back. This was a very good book – now it's a great one. 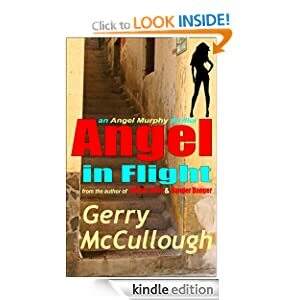 Frank McGrath now ranks among my really favourite authors, and I'm looking forward eagerly to his next book. It's not many of the new writers I can say that about, I'll admit, but Frank stands out, as he did on Authonomy, head and shoulders above most of the rest. Apparently one of the major editing suggestions made was that he should split the book into two, with a separate story about the villain . This must have been extremely difficult since, as I remember it, in the first version the two characters and their stories were intricately linked. Meet Daniel Hennessy: artist, mental patient, sociopath. Released on compassionate grounds due to terminal illness, Danny has one last mission to perform." But to return to CUT (another very clever title, as you'll see when you read it). A savage killing. A girl missing. A clock ticking. A cop who sees the world differently. Detective Jack Grogan investigates the disappearance of the Chinese Trade Minister’s 15 year old daughter, following the brutal murder of her bodyguard. He soon discovers that Lynsey Tao is a pawn in a game where no one can be trusted and nothing is what it seems. 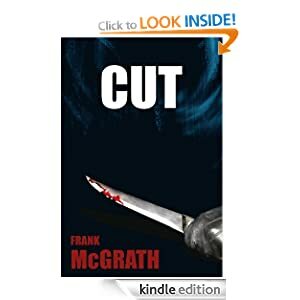 I've just finished reading CUT by Frank McGrath and I'm still breathless. This, as other reviewers have said, is a fast moving book which grips you by the throat from the first page and refuses to let you go. To me it was like reading my first Ruth Rendell, Ian Rankin, or Sara Paretsky. I knew at once I had found a new writer whose books I was going to love right through everything he wrote. A book full of grit, focussing on the dark side, but with characters to love and rejoice in, and with the sort of depth and philosophy which can't be forgotten. Superintendent Jack Grogan is a flawed but fascinating character, one I'm determined there should be more of. Jack makes his own rules, and this naturally leads him into trouble, but his brilliance carries him through bad times as well as good. His life hasn't been easy. His separation from his wife, the death of his young son - these are the sort of things, together with Jack's subtly conveyed feelings about them, which draw us ever deeper into the book. 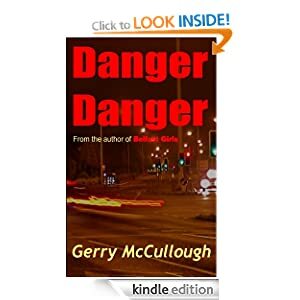 Like all good detective stories, CUT twists and turns, with suspect after suspect emerging, and the ending (which will shock you) has not one but three twists, following fast on each other's heels. Frank McGrath, we want more! When's the next Jack Grogan book coming? As you can see, I'm pushing this book as hard as I can! 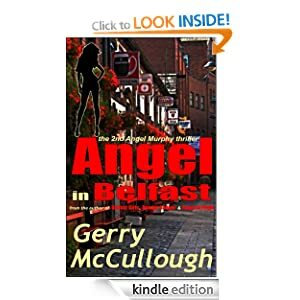 And finally, my new release, Angel in Belfast: the 2nd Angel Murphy Thriller about the feisty young Belfast girl! Goodbye and God Bless! See you soon!